1. NOMINATE. 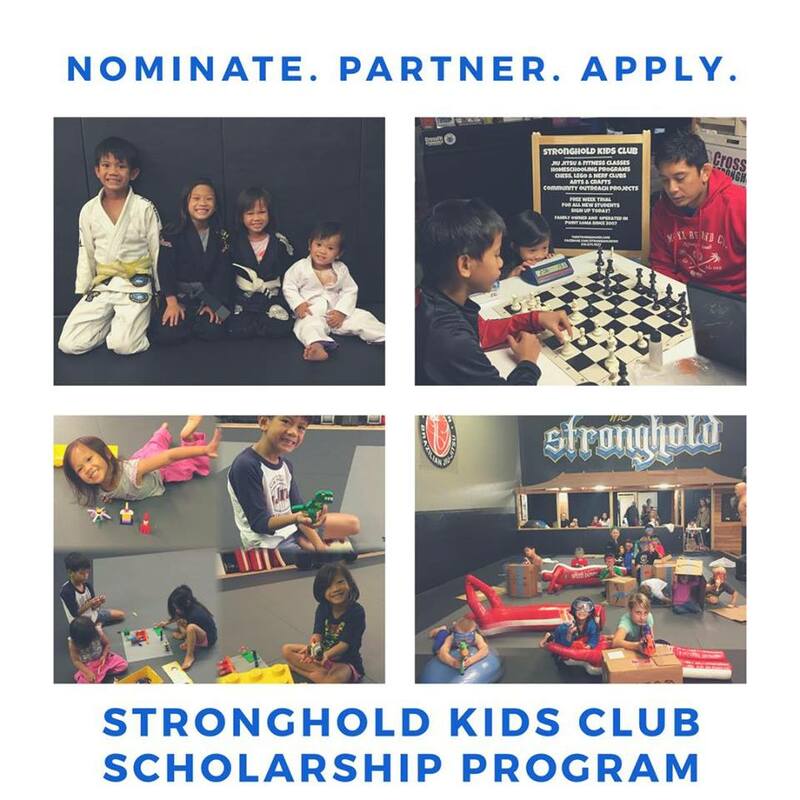 Do you know any youth that would love to train Jiu Jitsu, Wrestling or Self-Defense but may not have the financial means to do so? We would love for you to share this opportunity with them or you can nominate/recommend a student. 2. PARTNER. We are looking for Community Partners to support our Scholarship Program. Whether it be volunteering your time or monetary donations, we thank you in advance for considering a chance to partner with us and to impact our community! Potential community partners can message us or e-mail us at info@thestrongholdsd.com. 3. APPLY. If your family is interested in applying for one of our Scholarships, we would love to hear from you. Applications are accepted year-round and awarded as funds are available.